The Nippon Bonsai Association was founded by bonsai hobbyists and professional bonsai artists with the purpose of promoting and disseminating the art of bonsai. Its predecessor was the "Kokufu Bonsai Society", founded in 1934, which was renamed "Nippon Bonsai Association" and authorized by the Ministry of Education in 1965. 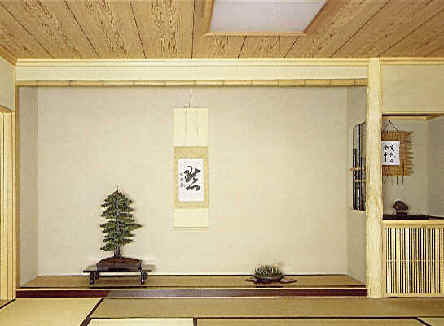 It is the only incorporated bonsai organization in Japan. The association has not only members in Japan, but also many members abroad. About three hundred branches of the association in Japan are very active in organizing local bonsai exhibitions, demonstrations and workshops. Every year in February, the association organizes the "Kokufu Bonsai Exhibition" in the Tokyo Metropolitan Art Museum in Ueno. The Kokufu Bonsai Exhibition, with the longest history of bonsai exhibitions in Japan, has been held since 1934 and is the most important and famous Japanese bonsai exhibition.